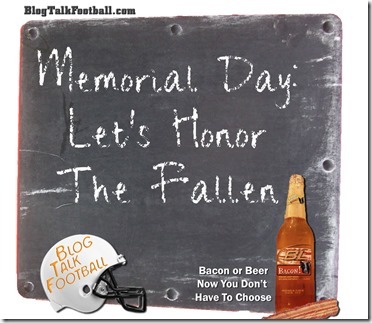 Memorial Day is not about how many steaks, chicken legs, hot dogs and hamburgers you can fit on your grill. It is not about the beer and the celebration. Memorial Day is about honoring those who have fallen defending our country. 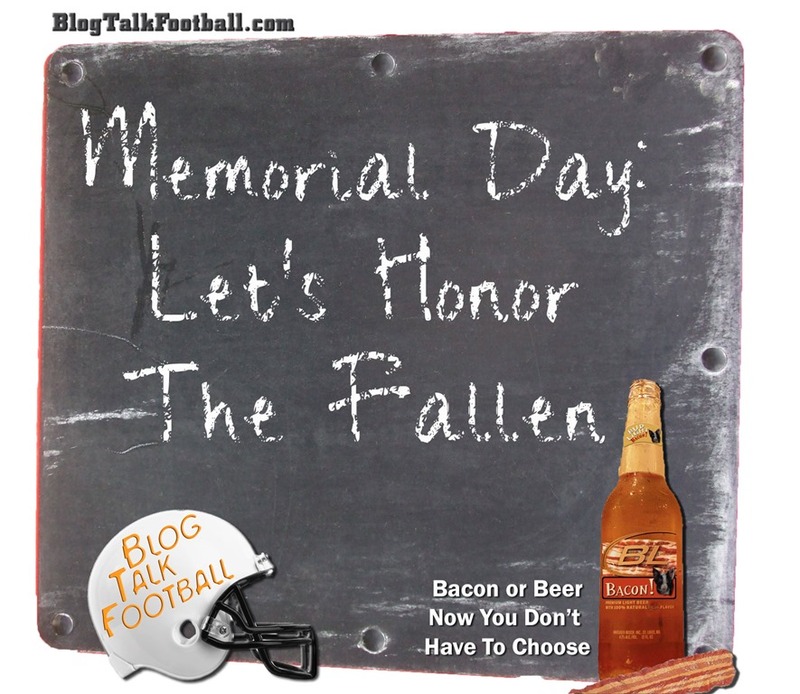 On BlogTalkFootball, we are all about the football, but it is a good idea to take a moment to thank the veterans who fought (and are still fighting) for our country and to honor the ones who have given the ultimate sacrifice in the defense of our freedom to watch football and cook on the grill. So before you put too much lighter fluid on your charcoal, drop the chicken on the ground (and pick it up, brush it off and put it back on the grill) or spill your beer on your iPhone… gather your friends together and say a few words about the men and women who fought and died for our ability to have a three day weekend! To all who have given the ultimate sacrifice for my country, I say thank you!